If anyone has one for sale and can ship to the US please let me know. My copy was super warped :( It is playable, tho. I knew the sharks were going to hike up the prices on this vinyl, that's why I ordered both the regular and deluxe vinyls because of this. My copy came with some deep scratches (clearly due to mishandling) which led to a few loud pops in the damaged track. 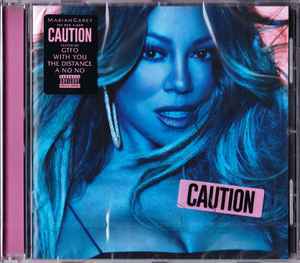 But apart from this, this is the best sounding and quietest vinyl release from Mariah I've heard (as I have issues with her recent "Butterfly" and "#1 To Infinity" releases). The sound is very rich and dynamic. A solid master and pressing for a solid album! Like other people have said, you have to order this online. I don't believe it's in any physical B&N stores. Mine came with a little residual plastic in the center and actually got stuck on my turntable. Put after I carefully got it off, the extra plastic was broken off and now plays perfectly. Just be careful! Love the album and the packaging is really cool on this. Wow, I'm very impressed with this one! Sound quality is fantastic! Worth the wait with the multiple delays! Nice bass, very clear vocals, crisp highs...just an all around great pressing! Nice-looking translucent pink color as well. Really my only complaint is...I honestly prefer the original cover. This basically just has the back cover as the front cover, haha. It just looks redundant. I ordered my copy from the official store as well, but it has a different bar code - 1 90759 13391 0. Does anyone else have the same number? I can't imagine why it would be different than this release (unless it was entered wrong). Excellent pressing. Sound quality is great. Sounds as good or even better than the digital version.